Homepage > How do I login? 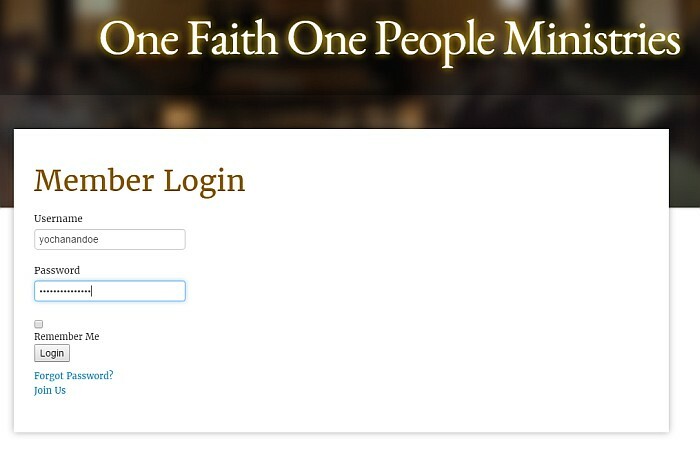 Logging in will get you access to premium content on One Faith One People Ministries, including full torah portion studies, podcasts, videos, notes, and more. That’s it! You’re logged in. If for any reason you’re still hitting trouble, contact our technical support.